Hello, we’re Gaea! We provide inventive technology solutions for your most challenging project management and supply chain problems. And we do it with an intimate knowledge of the Oracle enterprise products that we helped pioneer along with considerable expertise in all the industries we serve. Back in 2007, a group of thought leaders who architected Oracle’s Supply Chain and Primavera products founded Gaea. Since then, we have helped client after client successfully deploy enterprise applications all over the world. We’ve implemented solutions for more than 100 clients worldwide, and our clients manage more than $10-billion in capital projects using our solutions. Simply put, we want to build and implement the best software solutions possible, and deliver the best ROI possible. To accomplish these goals, we leverage our global reach, our lower cost base, and our 24/7 service. And that isn’t just talk. We have a well-established track record of serving and satisfying our many clients. It also helps that, among Oracle Platinum Partners, very few of them can offer the same kind of intricate solutions and processes that we provide. Gaea is also a Hard Dollar partner, and our team has more than 20 years of experience implementing HD solutions for clients in project-driven industries. People often ask us about our philosophy. It’s pretty simple, really: we always do what’s right for our clients. And we remain focused on the long-term. Because in the end, doing the right thing works out best for everyone. Gaea is a certified minority business enterprise (MBE), certificate #WR02849 (click to view). 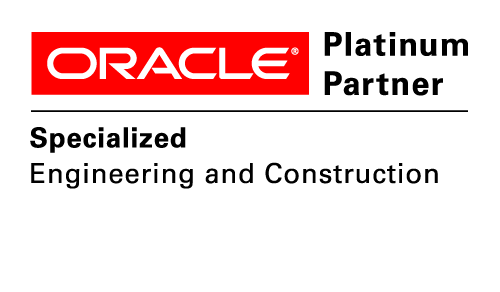 Gaea is an Oracle Platinum Partner, Cloud Standard, with six Oracle Specializations. Platinum Partners are the top 5% of all Oracle Partners.